This week, let's savour a fresh dish that can help brighten your day. Enjoy! Fine chop prawn and cut pork back fat into cubes. Add spring onion and grind it well with prawn and spring onion. Pour pork mousse, pork fat, sugar, egg in order. Mix them well. 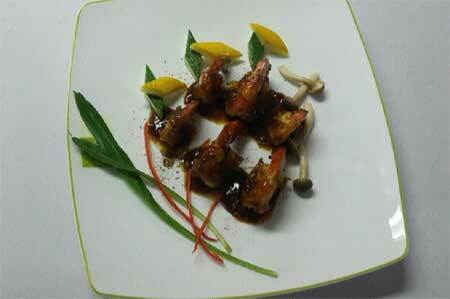 You can sample the dish at Sofitel Legend Metropole Ha Noi, 15 Ngo Quyen St, Hoan Kiem Dist, Ha Noi. Tel: +84 4 3826 6919.